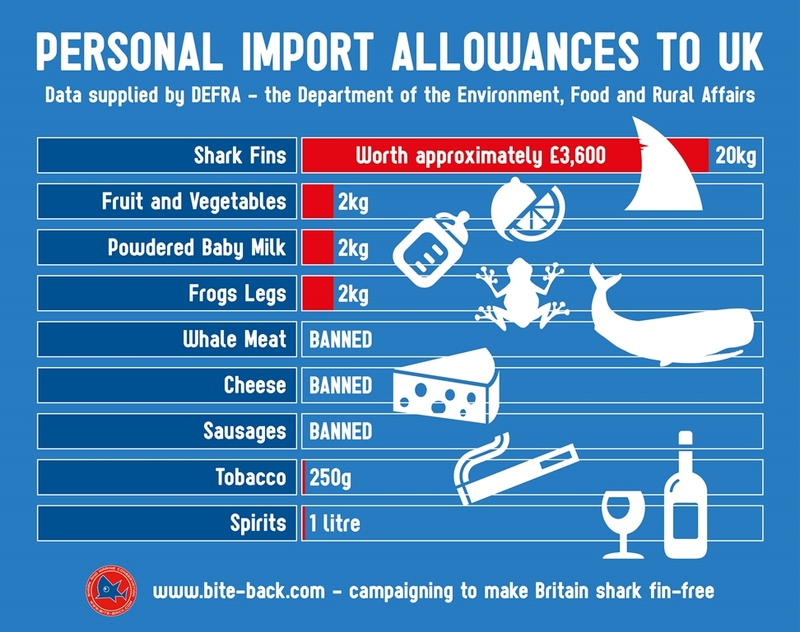 Right now, anyone travelling to the UK from outside Europe can legally bring 20kg of dried shark fins with them for personal consumption. It’s enough to make 705 bowls of soup and has a black market value of around £3,600. It's illegal to bring meat or cheese on long haul flights yet legal to bring 20kg of shark fins. This loophole in the law has created a legal route for the uncontrolled and unregulated movement of shark fins across 28 countries. And it takes no account of the announcement from The International Union for Conservation of Nature that 25% of all shark species are threatened with extinction. Already 154,000 people have signed our petition calling on the EU to ban the personal imporation of ALL shark fins to Europe. Please add your voice to our NO FIN TO DECLARE petition now and help us change the law. "The 20kg personal import allowance of shark fins has created a legal but unregulated trade that's pushing many shark species closer towards extinction. It must be stopped."